Acne Treatment Dermatologist In Maryland & Washington D.C.
Acne is a skin condition caused by changes in the pilosebaceous units (the hair follicle and its associated sebaceous gland). Severe acne is inflammatory, but it can also manifest in noninflammatory forms under the skin. Acne lesions are commonly referred to as pimples or zits. The face and upper neck are the most commonly affected, but the chest, back and shoulders may be affected as well. 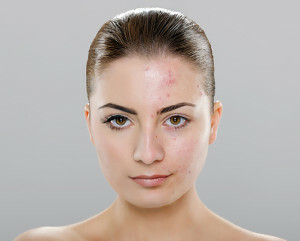 Who is affected by acne? Acne is most common during adolescence, affecting more than 85% of teenagers, and frequently continues into adulthood. For most people, acne diminishes over time and tends to disappear—or at the very least decrease—after one reaches his or her early twenties. There is, however, no way to predict how long it will take to disappear entirely, and some individuals will continue to suffer well into their thirties, forties and beyond. To find out more about acne treatment options, make an appointment with one of the Chevy Chase Cosmetic Center board certified dermatologists. Call the Chevy Chase Cosmetic Center at 240-482-2555 for an appointment in Chevy Chase or call 301-345-7375 for an appointment in Greenbelt today! How can I effectively treat acne? There are several acne treatments recommended by dermatologists that include oral medications, topical creams, laser therapies, and chemical peels to reduce and in some cases, completely eliminate acne. If you wish to treat your acne, make an appointment with one of our board-certified dermatologists who will diagnose your acne type and discuss a treatment plan that is right for you. Please note that most treatments are considered cosmetic and therefore are not covered by insurance plans. To find out more about acne and treatment options, make an appointment with one of the Chevy Chase Cosmetic Center board certified dermatologists. Call the Chevy Chase Cosmetic Center at 240-482-2555 for an appointment in Chevy Chase or call 301-345-7375 for an appointment in Greenbelt today!